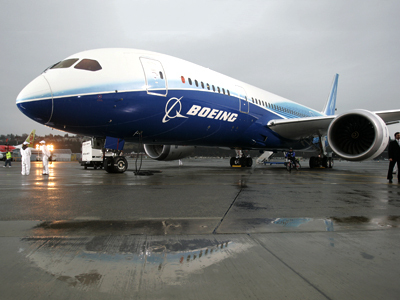 A fuel leak has been found on a 787 Dreamliner during a test in Japan on Sunday. The incident has joined a growing list of problems facing the highly anticipated aircraft prior to a high-priority review by the US Federal Aviation Administration. The leak came from a fuel nozzle on the left wing that is used to remove kerosene, according to a Japan Airlines spokeswoman, who added that the cause of the incident was unknown. The aircraft is currently undergoing checks in Tokyo. Friday’s decision by the American government to order a thorough review of Boeing 787 immediately followed a similar incident, which happened to another jet in Boston, when about 40 gallons of fuel spilled onto the airport taxiway due to a valve-related problem. The review will not ground planes or halt production of new 787s, but will examine the plane's design, manufacture and assembly, according to US Transportation Secretary Ray LaHood. "Through it, we will look for the root causes of recent events and do everything we can to make sure these events don't happen again," LaHood said. At the same time US federal transportation officials backed the plane, saying that it was safe. "We are confident about the safety of this aircraft," said Federal Aviation Administrator Michael Huerta, adding that the FAA's priority in the review will be the plane's electrical systems. He said he would not speculate on how long the review would take. 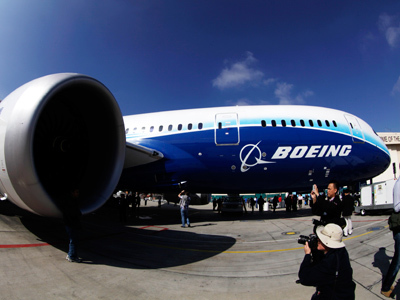 The $32bln Dreamliner program has suffered several problems and setbacks over the years. The $200 million aircraft was delayed three years in making its debut due to design problems and supplier issues. Before this week’s malfunctions, oil was discovered leaking from a generator on a Dreamliner engine last Friday at an airport in southern Japan, and a cracked cockpit window was discovered on another plane en route to western Japan, according to a spokesperson for All Nippon Airways. On Monday, a maintenance worker found an electrical fire aboard an empty Japan Airlines 787 scheduled for take-off from Logan. One day later another Japan Airlines flight bound for Tokyo was aborted at Logan Airport in Boston due to a fuel leak. Oil was also discovered leaking from the left engine of a Boeing 787 Dreamliner flight operated by All Nippon Airways on Friday, the airline said, adding to the number of recent incidents involving the aircraft. To date no technical difficulties have resulted in human casualties. 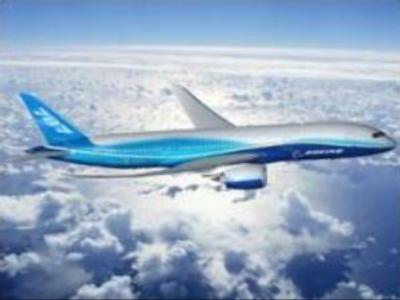 “Boeing is confident in the design and performance of the 787. It is a safe and efficient airplane that brings tremendous value to our customers and an improved flying experience to their passengers. We welcome the opportunity to conduct this joint review. Our standard practice calls on us to apply rigorous and ongoing validation of our tools, processes and systems so that we can always be ensured that our products bring the highest levels of safety and reliability to our customers,” according to official statement released by Boeing on Friday. The plane is in use for temporary United Airlines flights between Chicago O'Hare and Houston. The Chicago-based carrier has five other 787s in domestic service. LOT Polish Airlines plans to begin operating the region's first regular flight on a 787 between O'Hare and Warsaw, Poland, next week. That inaugural flight is scheduled for Wednesday, according to the airlines’ spokeswoman. Since October 2011, when the 787’s first commercial flight occurred, Boeing has delivered 50 Dreamliners to customers around the world, the bulk of them to Japanese carriers. The 787 aircraft is made of composite materials, using new technology to cut fuel consumption and provide a more comfortable flight experience for passengers. Air carriers are seemingly pleased with upcoming savings and have so far given the plane their approval, as they ordered almost 850 jets despite the current chain of troubles with the aircraft.